To prepare for their upcoming provincial tournament, our Bantam A1 Roadrunners hosted the Denver Elite Bantam team for a friendly exhibition game at Minoru Stadium on June 26, 2018. The Denver Elite Bantam and Midget players are attending training camps at SFU along with the *Cali Lax program to prepare for the Canada Day Tournament in Calgary. 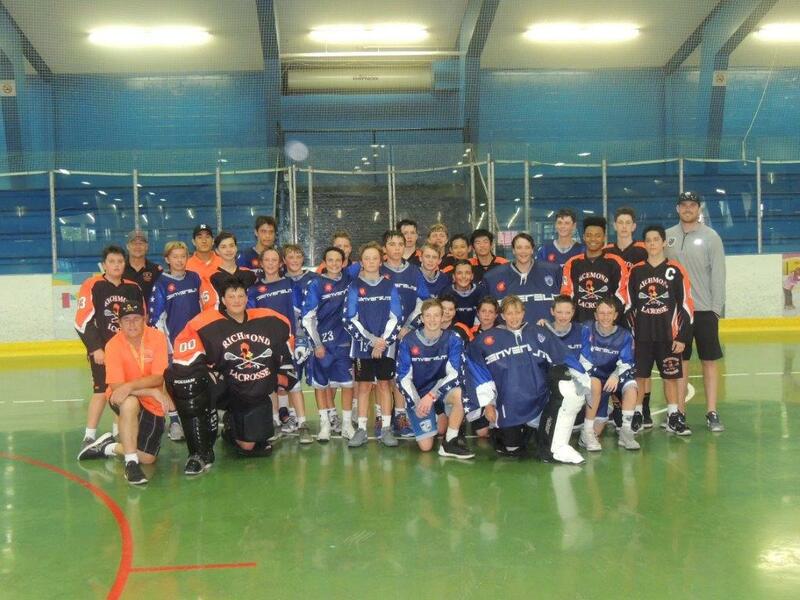 These teams look for exhibition opportunities to apply their skills and learn the game from our Canadian players. Although Richmond won 9-2, the game was respectful and Denver asked to set games up again for next year. Perhaps your child will have the chance to play against this great program next year!